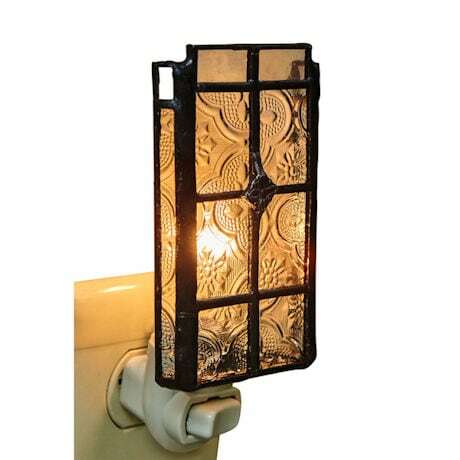 Tiny pressed glass panes joined by lead-free solder have a romantic vintage look, like the window of a grand Victorian house seen at night. Rocker switch. 4-watt candelabra bulb included UL-listed. 2"w x 5 ½"h x 2 ½"d.